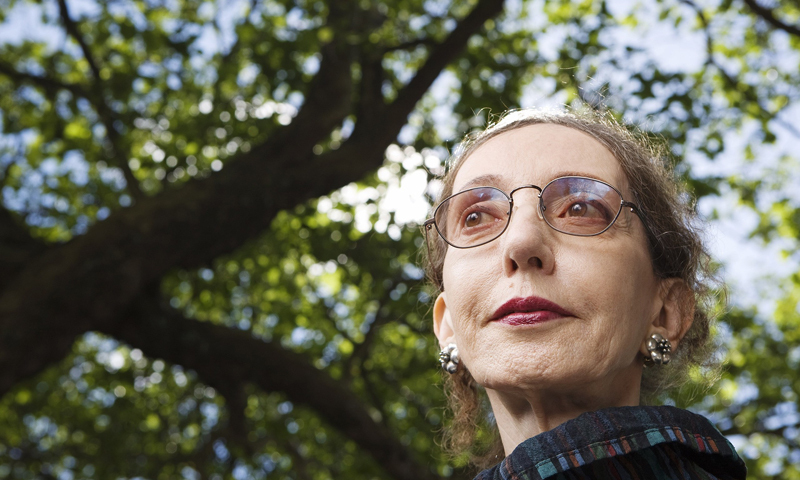 Joyce Carol Oates will read from and discuss her latest work, A Book of American Martyrs, at Labyrinth Books of Princeton on Wednesday, May 25 at 6 p.m.
A Book of Martyrs tells the story of two very different and yet intimately linked American families. Luther Dunphy is an ardent Evangelical who envisions himself as acting out God’s will when he assassinates an abortion provider in his small Ohio town while Augustus Voorhees, the idealistic but self-regarding doctor who is killed, leaves behind a wife and children scarred and embittered by grief. Oates fully inhabits the perspectives of two interwoven families whose destinies are defined by their warring convictions and squarely-but with great empathy – confronts an intractable, abiding rift in American society. Oates is a recipient of the National Medal of Humanities, the National Book Critics Circle Ivan Sandrof Lifetime Achievement Award, the National Book Award, and the PEN/Malamud Award for Excellence in Short Fiction. She is the Roger S. Berlind Distinguished Professor of the Humanities at Princeton University and has been a member of the American Academy of Arts and Letters since 1978. Her many celebrated novels include, most recently, We Were the Mulvaneys, A Widow’s Story, Carthage, The Accursed, and The Lost Landscape: A Writer’s Coming of Age. Labyrinth Books is located at 122 Nassau Street in Princeton.